Youth development programs in their various forms are key to improving things for young people and families in remote communities in Central Australia. Good quality youth programs provide recreational and diversionary programs that keep young people busy, engaged and out of trouble. Such programs provide a supported and safe environment where young people have access to assistance with referrals and support, they also provide fun and access to new skills. Good youth programs work closely with local stakeholders to shape program activities, they are often major employers of local staff and they coordinate with schools to encourage and support school attendance. This map shows aspects of youth programs that CAYLUS has played some role in pulling together. It is not a comprehensive map of services/ resources in the region. providing support with recruitment and staff orientation and support. assisting with locating and coordinating funding for youth programs.&nbsp; This includes funding for youth worker positions, infrastructure such as rec halls, houses for youth workers, vehicles, computer labs and other youth program resources. The following map outlines the support currently provided in the region, both workers and infrastructure. professional support to program providers with staff supervision, submission and report writing and strategic planning. advocacy and policy work with government around the funding and strategic implementation of programs for young people and families. Investing in the Future- The impact of youth programs in remote central Australia: a Social Return on Investment (SROI) analysis is a recently released report that looks closely at 3 Central Australian youth programs and the value the add to the local economy. The CAYLUS 'Blue Book' (1.5 mb download) is designed as an induction/ information document for youth workers working in the region. It is no supplement for on the ground supervision, mentoring and support, but is a good starting point for youth workers wondering how to go about things. The Youth Programs in Central Australian Aboriginal Communities(722KB download) is a recent report from The Centre for Remote Health in partnership with CAYLUS which looks at some sample youth programs in Central Australia, some issues which affect them community and agency views about them. Youth Programs in Central Australia: Beyond 2012 (575KB download) is a discussion paper put together by CAYLUS that highlights the importance of youth programs in the region and summarises some key evidence. A Good Practice Model for Youth Program Development in Southern Central Australia (136 kb download) is a paper written by Pauline Fietz who was the youth worker at Docker River in 2006/07. It summarises some good practice approaches to running youth programs in remote communities and is informed by Pauline's first hand experience. The Mount Theo Story (809 KB download) was written in 1999 by Andrew Stojanovski and is an early account of the work of the Mt Theo Program at Yuendumu. This program which started as a community movement against petrol sniffing has continued to grow into a cutting edge youth development program which recently commenced its 20th year of operation. This submission from Maggie Brady of the ANU (30KB download) makes some useful points about parental responsibility as it relates to substance misuse and sniffing in many remote communities in our region. 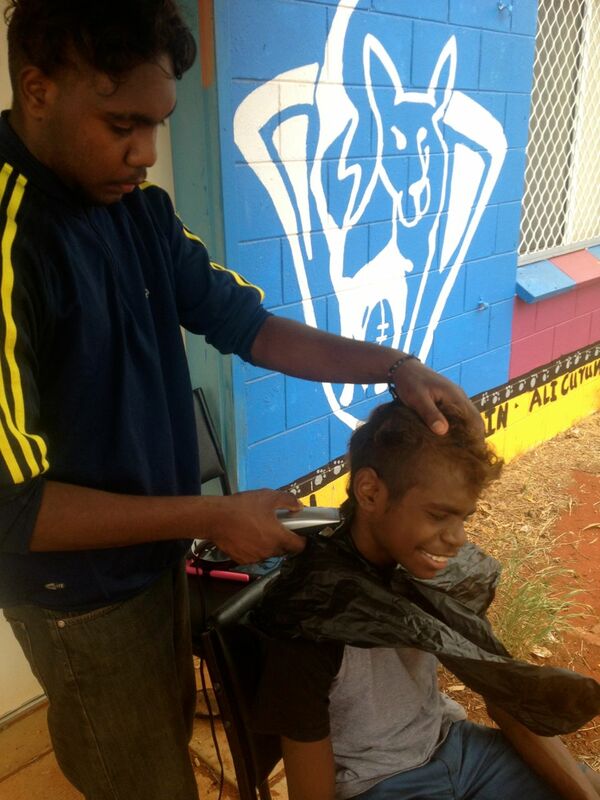 Youth work both remote and urban in Central Australia can be challenging but very rewarding. CAYLUS also operates a youth worker register where people interested in short or long term youth work in the region can sign up and provide some basic info. This information is then shared with the various youth programs that operate in the region.